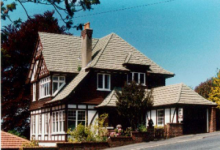 Barnett Lodge is a setting steeped in heritage. 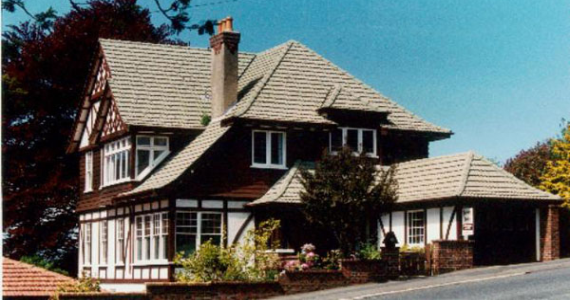 The lodge is a handsome Tudor residence built in 1938 for Arthur Barnett, a leading Dunedin retailer. A wonderful place to stay during your visit to Dunedin while you explore the city and its many attractions. Please contact us today for a short or longer term stay. 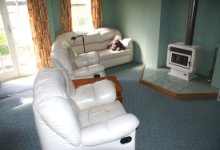 Welcome to Barnett Lodge, luxurious accommodation in the historic New Zealand city Dunedin. Enjoy your stay here at a classic, comfortable, and centrally located residence. 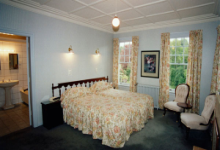 Please contact us today to book your stay at Dunedin's most stylish Bed and Breakfast. Luxury rooms available for rental today at handsome tudor residence. 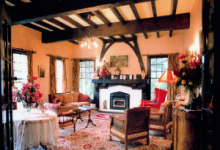 Perfect for events, the lounge features beautiful wood beams, ornate furniture and fire place. Self contained two bedroom luxury apartment with fireplace and city views. Our tastefully decorated suites feature city views and luxurious en-suite bathrooms.